The new president of Ecuador is not the strong and good man than his predecessor was. Under Washington’s pressure Lenín Moreno is making life in the Ecuadorian embassy as unbearable as possible for Assange in an effort to force him out into British hands. 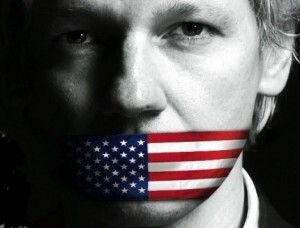 Responding to Washington’s pressure, the British government will not honor his asylum, which prevents Assange from being able to leave the embassy. “Western democracy” has become an oxymoron. This article by Mike Head shows the distain that the Western elites have for free speech, freedom of the press, truth, and the rights of citizens. This article was posted on Saturday, June 23rd, 2018 at 3:41pm and is filed under Democracy, George W. Bush, Media, WikiLeaks.